RATE: $145.00 per person ($90 children under 10 years old)/ DURATION: Full Day – Click here to inquiry for availability ! Caño Island is an amazing marine biological reserve located at 53 km from the shore with virgin blue waters making it the perfect tropical paradise for snorkelers and divers. It is home to and spectacular variety of stunning marine flora and fauna and is famous for having Costa Rica’s largest concentration of coral-building organisms along the Pacific Ocean. 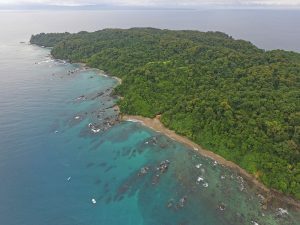 Visitors have rated Caño Island as having the best snorkeling and diving in Costa Rica! With fantastic underwater visibility, you have opportunity to observe and swim alongside sea turtles, dolphins, stingrays, manta rays, moray eels, barracudas, tuna, snapper, parrot fish, puffers and more. This forever-changing panorama is a powerful experience for those who venture below the surface to investigate the variety of marine life found near the coral reefs. 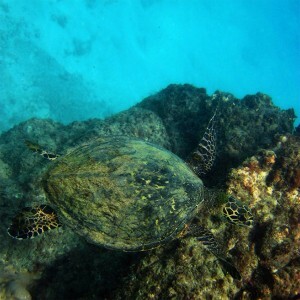 Marine life is also abundant in the general outliers of the island and you can see white tipped reef sharks, and occasionally whale sharks and humpback whales. The Snorkeling tour to Cano Island departs early at 7:30 AM from Uvita beach and the boat ride to the Island has a duration of 1,5 hours approximately . During the boat transit there is a big chance to spot Dolphins ( or Whales depending on the season of the year.) , sea turtles and the majestic panorama of Costa Ballena . Once we arrive to the Island two snorkeling sessions will be perfomed in two different locations that are chosen by our captain and guides depending on the conditions of the day .The average time we spend for snorkeling is about 2.5 hours or more depending on the visibility and on the ability of the participants. During this trip lunch is provided but it will be held on and neighbored Island named VIOLINES ISLAND only if the ocean conditions are normal but if not we will return to Uvita beach and set up the lunch on the beach. Due to strict government policies on the number of daily visitors to the island as well as the number of boats which are allowed to anchor with snorkelers, making reservations as far in advance as possible is strongly recommended. This tour is not recommended for people with serious health problems as I.B.S (irritable bowel syndrome) or urinary incontinence due to lack of restrooms on the boat and Cano Island. Restrooms are available at a private resort in Violines Island. Click here to check availability & book !! 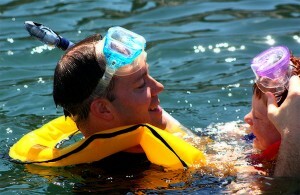 Looking for a half day snorkeling tour? >> Learn more about our snorkeling trips at Marino Ballena National Park ($75)!